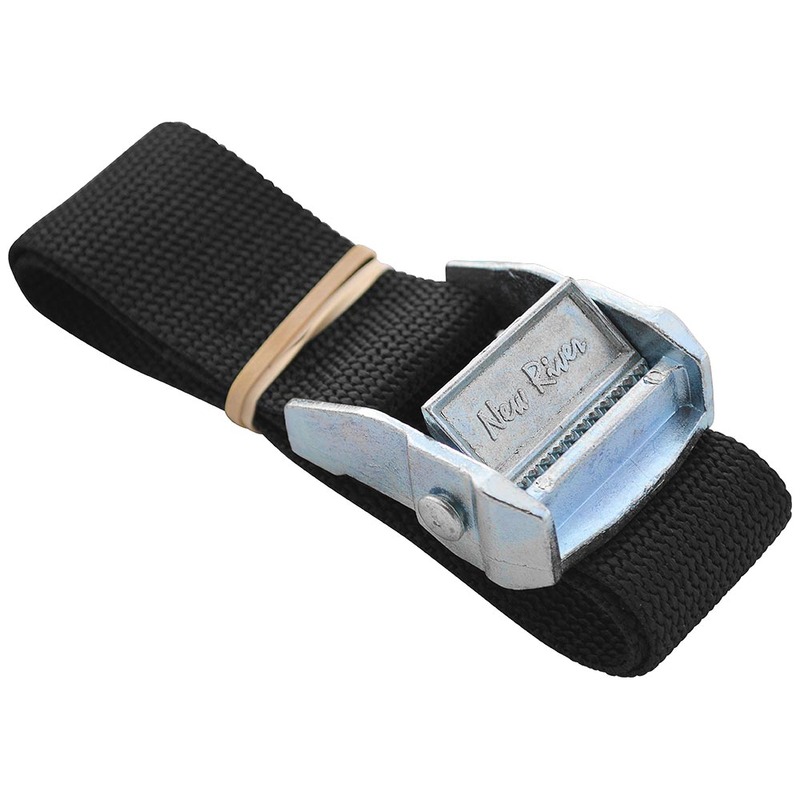 Large 1.5 inch wide cam straps allow for increased bite around tie down members. Whether you're strapping a raft frame to the D-rings or a canoe or kayak to the roof rack the 1.5" is a very secure contact. 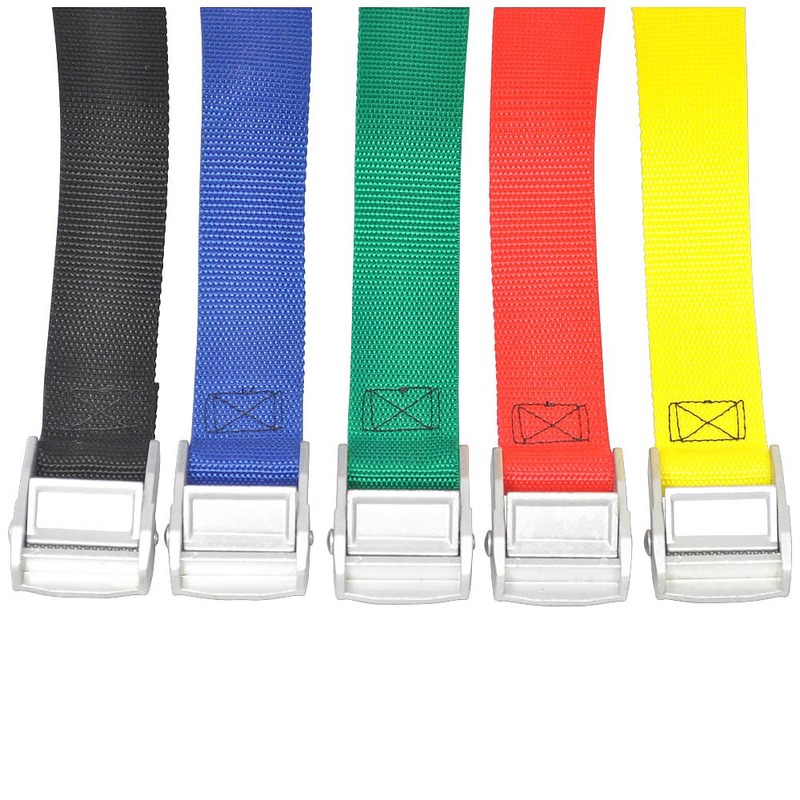 Straps are color coded by length.